Little Sutton looks like a natural behind the wheel in these Instagram photos. Angela Simmons might have a little auto aficionado on her hands. 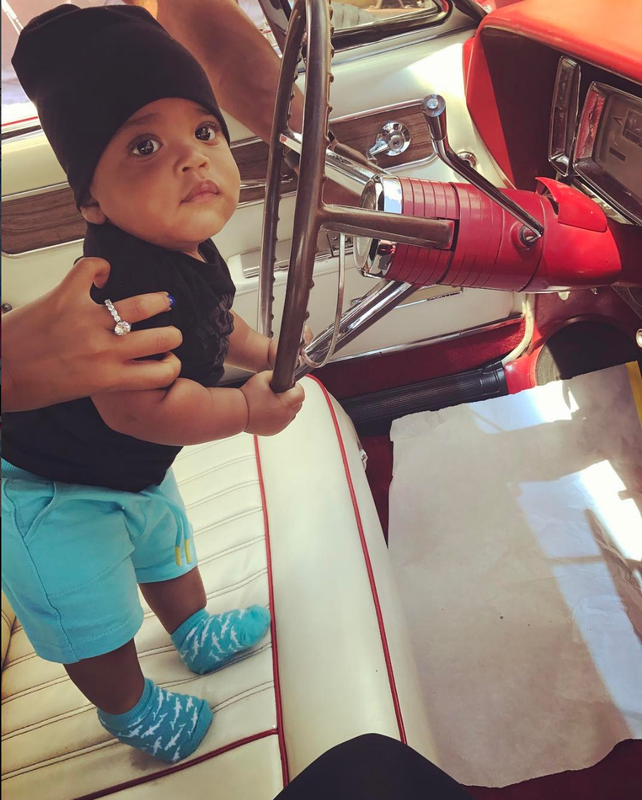 The new mom and Growing Up Hip Hop star recently shared a photo of son Sutton Joseph behind the wheel and we could all learn a thing or two from the 8-month-old. For example, it’s really not a big deal if your feet can’t touch the pedals and you can’t see over the wheel. It’s also absolutely fine to stand up while you’re driving. Sutton Joseph is always ready to go. He also hopped behind the wheel with his mommy a few days ago to show his mom how’s it done. Look at those carefully placed tiny hands, not exactly at 10 and 2, but close enough. Simmons is probably going to have tough time keeping Sutton at home once he’s able to drive because it seems the little one already has plans to hit the road. The reality show star introduced baby Sutton and her fiancé, Sutton Tennyson, to fans back in November during her appearance as a guest co-host on The Real.